Gor Mahia players are now back in the country after the below par performance at the CECAFA club cup. The poor run came against the backdrop of a poor run locally that saw them eliminated from the GoTV shield and drop several points. Gor Mahia will now embark on defending the league title that they won in 2013. And the players say they have learned harsh lessons in Kigali and will apply them in their league campaign. And with the club out of the GoTV shield, the KPL Top 8 and CECAFA cup, the league is all that is left in order to avoid a trophyless season, something that has not happened since 2010. Team captain Jerim Onyango admitted that the team’s below par performance was a wakeup call as they now embark on defending the league title. “We did not expect to give such a poor show, but we have learnt the hard way that every game counts and that working hard is a must for every team, even league champions,” Onyango told Daily Nation Sport. “We will now focus on the league and hope we win it so that we can take part in the same competitions next year,” he added. Much has been said about why Gor Mahia experienced a poor run. But what is clear is that today starting on August 19 2014, The club needs its fans more than ever. The club is facing a crisis similar to the ones they faced in 1973-74, and 1984-85. To retain the league, fans must jump in and support the team materially, physically and in spirit. The club needs its voiceferous fans to join in building the club by contributing and by becoming active members. Of late there have been several examples. During the AFC match, fans performed an impromptu fund raising and raised KES 75,000 to settle player allowances which were unpaid. Two months earlier, Kogalo fans came together to raise KES 150,000 to defray Nasio’s medical expenses. Aside from helping defray expenses, it actually lifts player morale. The above two examples show that fans are capable of seizing the initiative to help resolve the club’s financial issues when the EC has proven incapable. And there are plenty of ways can contribute time and effort. There is the Gor Mahia funds foundation which actively supports the Kogalo U19 side and engages in public relations initiatives on behalf of the club. They too need your support. Branches which used to actively bolster the club’s finances have been rendered almost irrelevant in recent years because the office has not seen it fit to incorporate them into the club’s structures. This is a tragic mistake because branches are the most effective means to get fans involved in supporting the club materially. 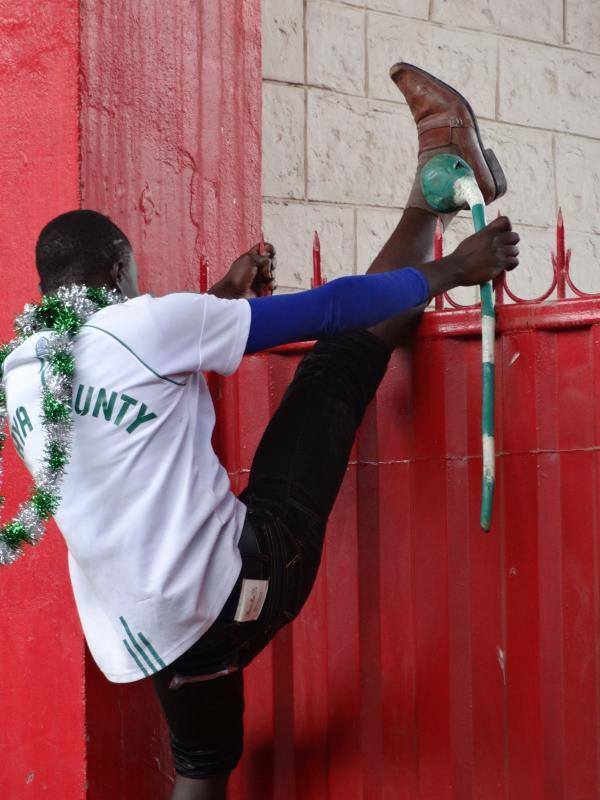 In past years, whenever Gor Mahia visited Kisumu or Nakuru for example, it was the local branches that hosted the team. No such structures exist today. It is up to individual fans to take the initiative to revive these branches. And today branches need not be locational. They can be virtual, such as an online. 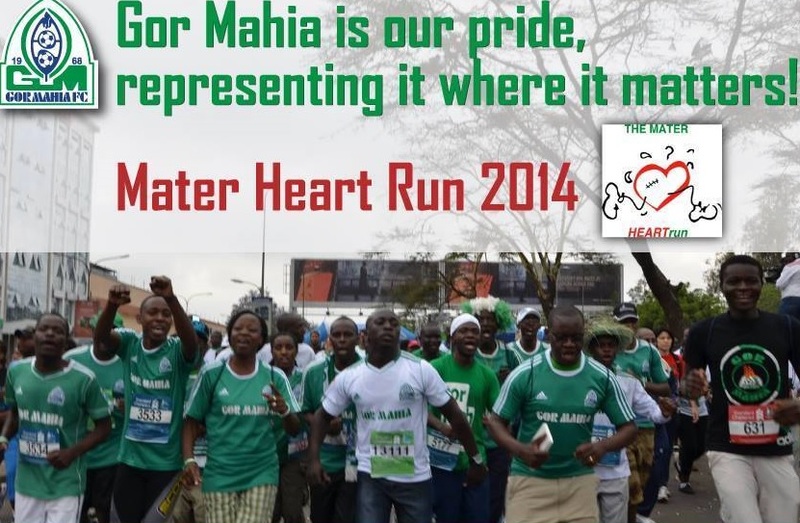 And why not a diaspora branch for Gor Mahia followers overseas ? Taking the initiative to be active in supporting the club is especially important for those who who might be aspiring to hold office in the club. Fans tend to vote for people whose track record they know. An incumbent is likely to be re-elected barring unique circumstances. And this is why aspirants who tried to challenge Mr. Ambrose Rachier in recent elections failed miserably. Unless Gor Mahia fans know your track record, you likely will not be elected to the Chairmanship. Being antagonistic against initiatives introduced by the club will not get you elected. If for example you oppose the #350100 initiative due to lack of transparency then why you can start a program of your own. Show your transparency, your organizational skills and then raise funds for the club. When you do this, the fans will see you as competent and will be more willing to elect you. In past years we even had aspirants promise to get sponsorship for the club if elected. This begs the question : If you are able to get sponsorship then why not just do it ? Why insist on being elected first ? Back in the 1990s, one Maxwell Ombogo was elected Gor Mahia chairman unanimously because he took it upon himself to raise funds for the club and donated much of his own money. Unfortunately for Gor Mahia fans, Mr. Ombogo passed away shortly after being elected. And more recently, George Bwana was elected Secretary General in part because of fund raising efforts. At one point, online branches raised money to buy airline tickets for the team to travel to the Coast. The point being made here is that if you aspire to hold office then involvement in positive initiatives is a sure way to get voters acquainted with you. So if you want to be elected, then do not just sit back. Get involved. The club needs all hands on deck. This will also enable the club to vote in competent, committed and diligent officials whose track record has been seen by fans. Player morale may be at a low point right now. There is uncertainty about whether coach Williamson is leaving. There is uncertainty over constant player turnover. And it is not clear whether players salaries and allowances are being paid on time. What all this means is that the players will need the fans to get behind them to lift their morale. Now more than ever, fans must attend matches in droves. And just as important, fans must turn out in droves and pay for tickets. Fans who try to get in free must be confronted and handed over to the Police. The fact of the matter is that there has been gross negligence at the club over the past year or so. This negligence saw the club land in trouble with the KRA and let the sponsorship with Tuzo lapse. And now 4 months later, fans still do not know where we stand with the KRA. Has the club engaged KRA to sort out this issue ? Has the club sought any assistance from the ministry of sports ? Does the club really owe KES 118 million ? If not then what is the correct amount ? For some reason the club EC has not seen it fit to address this issue since it came up in April. The gross negligence still abounds. The current instability at the club with players and coaches deserting at every opportunity to seek greener pastures are directly due to this issue. And unless it is resolved, there will be no sponsor forthcoming. This is because as KRA stated in April, they will confiscate all sponsorship money until the tax issue is resolved. And which sponsor will be willing to support the club under such conditions ? Most likely none. At this rate, the club will end this 2014 league and go into the 2015 league without this issue being resolved. This means that we will start the 2015 league still with no sponsor because the KRA issue has not been resolved. That is unless fans pressure the EC into resolving this issue. Another area where fans should push for change is in the constitution. The club still has an archaic constitution that was probably created in 1968. The issues of gross negligence are precisely because the club rarely has competent people running the club. In reality, the only elected positions should be those of Chairman and one Vice Chairman. The remaining positions should be held by competent professionals such as a CEO / General Manager, Marketing and Accounting, all hired on performance contracts. The phrase “when available” is key here because as far as I can see, even with the financial difficulties the club faces, the EC has not seen it fit to sell club merchandize. And those new Joma jerseys are not as inspiring as the “Gor Mahia” jerseys that became immensely popular starting in 2010. Once again I urge fans to get solidly behind the team as they resume the campaign to retain the league starting this Sunday against SoNy Sugar. With no sponsors in sight, fans are the only recourse the club has if the club is to retain the league title. Can’t say more……for us to win the league this year it will be all about the fans, the fans and the fans…..our players have not been paid for 3 months and all we can do is complain about EC…….change starts with ME and today I am going to contribute Kshs 5000 towards 350100! We will support our beloved team with or without E.C. They have confirmed that they care little about K’OGALO. 1.How long does it take to update members about 350100? 2.What does it cost E.C to update members about KRA saga? 3.Why did you spend money to launch membership drive then keep mum about it? 4.Why did you have to let players go and fail to recruit well? E.C. You have failed the TB, the players, and the fans. SISI MAFANS NDIO TUNAUMIA…”TAFATHALI!!!!!! Fellow fans, I think we should do what we did during our last game with AFC. Lets give the boys morale by contributing some money to give them as winning bonuses in every game for the remaining matches. Well written and what we are demanding is the club to open the office for the diaspora so that we can be able to contribute towards building the team.It was yesterday that i discuss this issues with my friends in texas,callifonia,ohio boston and they are ready to mobilise Kenyans especially here to come out and build the team,the good thing is that our local news paper ‘Mwakilishi’ is run by a Gormahia supporter.We are urging the office to work on this matter urgently.All the best Kogallo in all the remaining matches…..
Well said @Jakoyo and @Sam Muga. The club is actually us. The EC will come and go. Some of these EC members will even cease associating with Gor once they are not elected but us fans will always remain. I support the sentiments expressed herein. 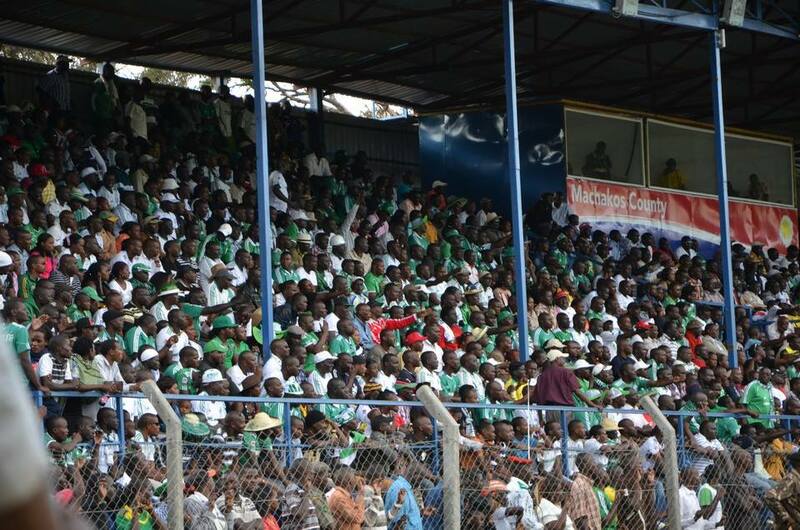 Gor Mahia fans should act before the league campaign falls apart due to non-payment of salaries. I have an idea I think can help not only our team but also our fans and the entire Kogalo Community. May I first point out that this is not for elections gain at all and I am not Interested in any office but for development for the Club and ourselves. I wish to share this with the Gor Office and so anyone with contacts to the Mr.Bwana, Rachier or any EC member can get me on 0720 794 967 so that we share. thats a well put article.now, there is a very possible and interesting scenario that can unfold on Sunday,what if tusker is to lose their match and we win ours? just food for thought. If they loose,good for us and more soo if we win. On sunday come with an extra 300/-. Am targeting 4000 serious people. Can someone suggest the collection points?